Greece is known for having the most beautiful beaches in the world and the most quaint villages in Europe, and now the country can add the Athens suburb of Kerameikos — one of the coolest neighborhoods in the world — to the list. Forbes has announced that the hip, trendy and artistic neighborhood is the place to be if you are looking for cool things to do. 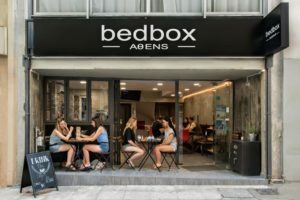 The vibrant neighborhood has murals painted on walls, new exciting restaurants with fusion concepts and is the trendiest place in Athens to have a drink with friends. The hippie-like atmosphere of the neighborhood has caught on and even tourists check it out and hang out with the local crowds. There are up-and-coming artists who display their work at galleries, theatres, bars, and there is something do around every corner.